You must register for morning workshop to sign up for this intensive. The afternoon will emphasize work with “therapeutic dissociation,” a means of differentiating the present-day adult state from states/parts that represent unmetabolized trauma, attachment challenges, and other overwhelming experiences. It will also emphasize corrective experiences, where the activated nervous system will have an opportunity to access somatic and psychological states of being protected, seen, or otherwise appropriately met in order to help resolve unmetabolized experiences. There will be didactic information and then practice in dyads or triads. Examples of work with uncoupling younger parts from the present-day adult self will be offered. Nancy Napier, MA, LMFT is a psychotherapist and hypnotherapist in private practice in New York City. She is also an author and teacher and, for well over a decade, has been on the faculty of the Somatic Experiencing Trauma Institute. 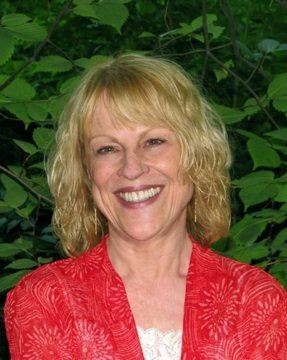 She offers her own professional workshops on subjects including resolving shock trauma, parts work, the optimal future self, spirituality and mindfulness, self-of-the-therapist issues, and more, as well as workshops for the public on various topics. She is author of Recreating Your Self: Increasing Self-Esteem Through Self-Hypnosis; Getting Through the Day: Help for Adults Abused as Children; and Sacred Practices for Conscious Living, all published by W. W. Norton, as well as Sacred Practices for Conscious Living, 2nd Edition, and Meditations & Rituals for Conscious Living (co-author), published by Lotus Blossom Press. *Click here for CE Information. If you have paid for CEs for the morning program, you do not have to pay additionally for the Intensive.